Printer Command Language files (PCL) include data related to the layout, text and graphics of a document that's been readied for printing. Developed by Hewlett-Packard in the 1980's for use with LaserJet printer line, the PCL format includes fewer features than some of the more modern formats. Due of the nature of PCL files, a viewer is required to view them and/or convert them into a more usable format. Licensed as Freeware, Page Technology Marketing's PCL Reader offers users a program that is both simple and complex. With the PCL Reader users can load and view PCL files; zoom and rotate images within. It's also capable of opening multiple PCL files at once, letting users switch between them and even overlay the data for comparision. Additionally it comes with several options that let you adjust the layout and formatting of your PCL documents before saving. Compatible with all Windows OS/s since XP, the PCL Reader is free. RedTitan's EscapeE provides users with the standard mix of tools needed to view, merge, split, extract and transform PCL documents. It allows for PCL files to be converted to other formats, and large jobs can be automated in batch mode. EscapeE can be used as a recovery tool to rescue damaged PCL and XML data. It also includes a unique feature that allows users to add dynamic barcodes to their PCL files. With four different editions available, the cost of licensing a copy of EscapeE ranges from $524 for the Viewer Edition, to $5,637 for the Professional Edition. SwiftView's SwiftStamp allows for the application of "stamps" to PCL documents, effectively making it so that anyone, anywhere can view and print those files. While it does feature a batch utility, SwiftStamp does not offer its users much in the way of options. Instead it's built around an annual licensing plan that requires users to pay every twelve months for another year of unlimited "stamping". 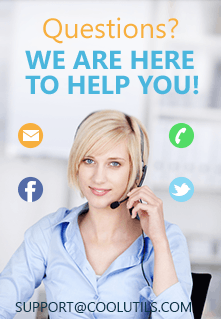 Rather, SwiftStamp focuses on the benefits of distribution, viewing and security. The Standard Viewer costs $295 for a single, one-year license, while the Pro Viewer costs $395. Customized versions are available. CoolUtils' PCL Viewer is a powerful tool that lets users view, organize and share their PCL documents. Loaded with customization options, the PCL Viewer lets you choose between thumbnail view, full screen mode and a detailed list. Users can organize their PCL files through copying, moving, sorting and renaming them with just a few quick clicks. The option is also available to share PCL files as email attachments from inside the viewer itself. 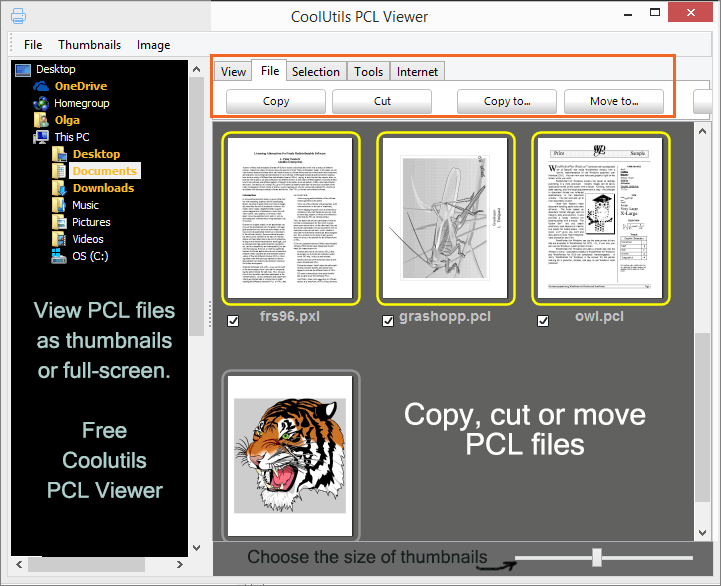 While other PCL viewers might cost hundreds of dollars, CoolUtil's PCL Viewer is totally FREE. Sure there are no toolbars or other hidden payments. Download your copy and give it a try today!